October sees us exhibiting at the European Bearing Net Conference in Warsaw, Poland: 11-14 October. We have a wealth of European customers and taking part in this exhibition will enable us to reach out to them all and present our new range of products. We are looking forward to meeting new and existing customers at this prestigious event. This record month included the supply of a very prestigious order for the Ecuadorian Navy. 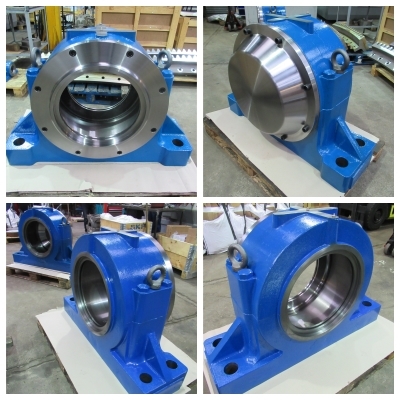 We designed & manufactured a set of 16 off Special Oil Lubricated Bearing Housings manufactured in Cast Steel. From very old drawings dating back to 1963, we re-engineered all working parts. With special temperature sensors, the complete set was dispatched by our very own shipping department to Ecuador. Meeting exact and demanding supply conditions, we managed to provide a solution that no other supplier could achieve. Bri-Mac have a regular contract with a French car-recycling plant to manufacture this one piece, large cast steel bearing housing assembly. Housing the bearing 23072K, we supply the complete assembly with full material certification. This oil lubricated bearing housing comprises a machined bearing housing, split cast steel end covers and rotary shaft seals. The unit has a demanding schedule and withstands massive forces in the car-baling process. This is a good example of how adaptable and reliable our bearing housings are and that there really is no limit to how demanding the application can be. With only a very short maintenance window to work within, July saw us produce 2 off Cast Iron Bearing Housings SAF 23056. 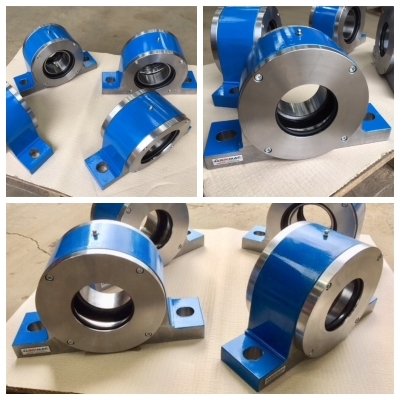 Machined to receive SKF bearing 23056K, we adapted existing pattern equipment and pushed through our machine shop in record time, these heavy plummer block bearing housings with special LOR lab seals. Delivered on the day requested, our work ensured the French Steel Plant could install our new bearing housings in time for production to commence. Having already invested heavily in recent months in brand new CNC machines, June saw us take delivery of a brand new Dah-Li Horizontal machining Centre: MCH 500. “We are delighted with this acquisition. 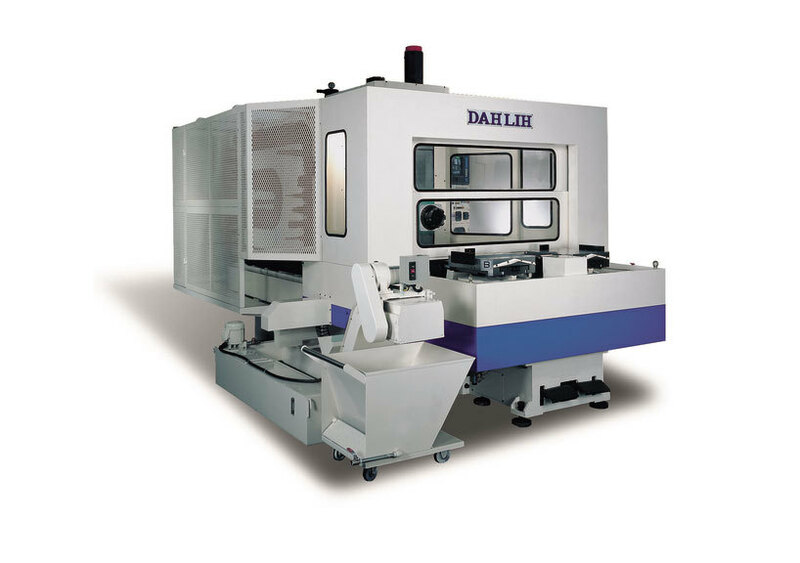 We also have the larger machine MCH 800 in our range and having this extra capacity means we can increase our output and offer first class machining production to the highest accuracy. Recent global demand for our products made the decision to invest further a necessity and our policy of continual improvement moves ahead again” commented Paul McCairn, Managing Director. Having received very old drawings from an old paper-making machine, we reverse engineered a set of 2 off Cast Iron Plummer Block Housings for a paper mill in Belgium. With intricate inner cores to accommodate an oil well, we designed a solution which enabled the existing equipment to be used without costly refurbishment. The set comprised of a located and non-located bearing. Special Seals & End Covers were also produced. This one-piece Flame Cut Steel Bearing Housing provided an important French customer with a fast solution for a long standing problem within a materials handling plant. Tasked with replacing an old Cast Iron Pillow Block Bearing Housing, we arrived at a solution to produce from readily available plate steel. With minimal down-time, Bri-Mac ensured the plant was working much earlier than planned and the 22224K bearings were soon back in operation. These very large Bearing Housings were made in SG Iron (Spheroidal graphite – or Ductile Iron). New drawings were not available to us, so our in-house CAD team got to work and produced a new set of working drawings for a special application. With Steel End Covers, this Plummer Block Bearing Housing was manufactured to suit bearing: 24176K. Weighing close to 1000kg each on completion, including new end covers and steel labyrinth seals our customer was able to use our solution when other leading bearing companies could not help. Bearing Housing 544200 to receive Bearing 23144K. This is a very special requirement ordered by a French customer. This Plummer Block arrangement has special taconite seals, with new pattern equipment manufactured. We hope to supply more in the future.